Go to the Lehigh County Animal Services page or read about cats or dogs. A Wildlife Pro operates a professional wildlife removal company servicing SE Pennsylvania, from Allentown to Philadelphia. 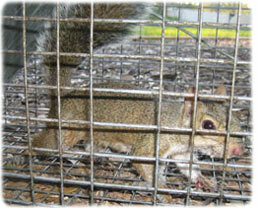 We perform all facets of nuisance wildlife removal, from removing squirrels in attics, to bird and bat control. We do expert home repairs to prevent animals from re-entering, and we clean all animal waste and damage. We provide same or next-day service. Call 24/7 and we will discuss your wildlife problem! There are many Allentown Bethlehem Easton pest control companies for animals out there, but not all of them are licensed and insured professionals. Make sure that you hire a competent expert for your Allentown Bethlehem Easton exterminator of wildlife. At A Wildlife Pro, we will be courteous and friendly and take the time to answer your questions. Give our Allentown Bethlehem Easton trappers at A Wildlife Pro a call, and we will listen to your problem, and make an appointment to perform an inspection. Pennsylvania is full of wildlife, including snakes, squirrels, raccoons, skunks, opossums, and more. Wildlife removal is a complex field. I recommend professional Allentown Bethlehem Easton wildlife control services if you want to solve a critter problem legally and correctly. For example, it is necessary to perform correct preventative repairs to keep pest animals a out of your house for good. We perform full building inspection, do the the repairs and we also offer attic decontamination if necessary. Rats and mice love to live in attics, and can chew wires or leave droppings. 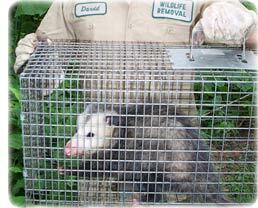 In fact Allentown Bethlehem Easton wildlife frequently enter homes, and correct removal is not a simple task. If you need assistance with a domestic animal, such as a dog or a cat, you need to call your local Lehigh County Animal Services for assistance. They can help you out with issues such as stray dogs, stray cats, vaccinations, licenses, pet adoption, lost pets, and more. No county in Pennsylvania will assist with wildlife control situations, and there is no free Allentown Bethlehem Easton animal control services for wildlife. Brown snake poo -Brown snake poo is usually pretty fresh, as snake droppings tend to become chalky in appearance as they age. If you've found questionable poo, there is no way to know what kind of snake it is from since all snakes are strict carnivores. You may be able to tell what size of snake you are dealing with by the amount of undigested material in the mixture. A large snake will eat a lot of rodents and possibly birds. Look for bones or teeth that may indicate such a diet. Beyond that, the only other characteristic of snake poo that makes it different from other droppings is the fact that it will contain white streaks of urea or a urea cap. This is caused by the conjoined use of the cloaca, the holes at the base of the snake's tail. This organ functions as the opening through which both solid and liquid wastes pass. You will not always see urea in a snake's droppings. Substances in the environment cause urea to break down very quickly. The use of a cloaca is similar to that of birds, animals that also relieve themselves of solid and liquid waste all at once. Coupled with regulation changes that give Vermin exterminators even additional opportunities to capture rats, this season should offer similar success. Pennsylvania's firearms woodchuck and beaver season opens Saturday. To learn more about Bethlehem and Easton wildlife, read on. In an effort to get a handle on high woodchuck and beaver numbers, the department of natural resources this year may be offering intensive harvest tags in 57 permit areas - roughly two-thirds of the state - encouraging Vermin exterminators to capture additional black scaley tailless house rat and mouse. Vermin exterminators in these areas may use the bonus tags to legally capture up to five rats, only one of which can be a mouse. Remember to treat the wild animals of Allentown, Pennsylvania, with caution and respect. Meanwhile, the department of natural resources also designated 42 "managed" permit areas, where Vermin exterminators may use a bonus tag to capture up to two rats, only one a mouse. Unlike the past its prime days, when Vermin exterminators statewide needed to apply for female rodent permits, the requirement this year applied to only 40 lottery permit areas - none in the northwest part of the state. Snakes and wolfs may be not all mean. "As an agency, we're putting a real emphasis on harvesting does," Lou The snake identification picture expert, big game program manager for the department of natural resources in Allentown, declared in a news release. "Taking a male rodent out of the numbers does little to lower overall numbers because one male can type of creature several females. Hooray for wild creatures and critters! Hurricane Rita has made that search become much easier. Salt water has invaded this fresh water habitat, lethally trapping the vegetation, leaving fox and wolf stranded on levees that may be now surrounded by sticks and water. A animal catcher says it's easy to get in. He says you can drive up to them by boat because there's no where to run, all they have may be water. The private land owner found a 3-point male wolverine corpse floating around his property. He tells us fox and wolf this size may be normally found in the Lehigh County area. ...To be continued. More information about the wildlife of Allentown. We are Allentown Bethlehem Easton wildlife management experts, and are familiar with all the pest animals, including all species of Pennsylvania snakes and bats. We at A Wildlife Pro are the best among Allentown Bethlehem Easton nuisance wildlife companies and can solve all animal damage issues. Our wildlife operators are skilled at bird control and bat removal, and would be happy to serve your Allentown Bethlehem Easton bat control or pigeon and bird control needs with a professional solution. Opossums, skunks, moles, and other animals that can damage your lawn - we are the exterminators who can capture and remove them. Our specialty is removal of animals in homes such as raccoons in the attic or squirrels in the attic. Our professional pest management of wildlife and animals can solve all of your Allentown Bethlehem Easton critter capture and control needs. Give us a call at 610-927-7792 for a price quote and more information. If you have any questions about a wildlife problem in Allentown Bethlehem Easton, please give A Wildlife Pro a call at 610-927-7792, and we will listen to your problem, give you a price quote, and schedule an appointment, usually same day or next day, to solve the problem.